Mosquitoes put your loved ones at risk of catching more than the bouquet at your wedding! The uninvited guest: the mosquito. Most of us don’t like being unprepared when we leave our house. Going into a movie or restaurant that’s freezing cold in the summer is an annoyance. Who thinks of bringing a sweater or jacket with them in July to go grocery shopping? These are unpleasant situations we can endure briefly and either get our food to-go or grab the essential groceries we need and leave as soon as possible. 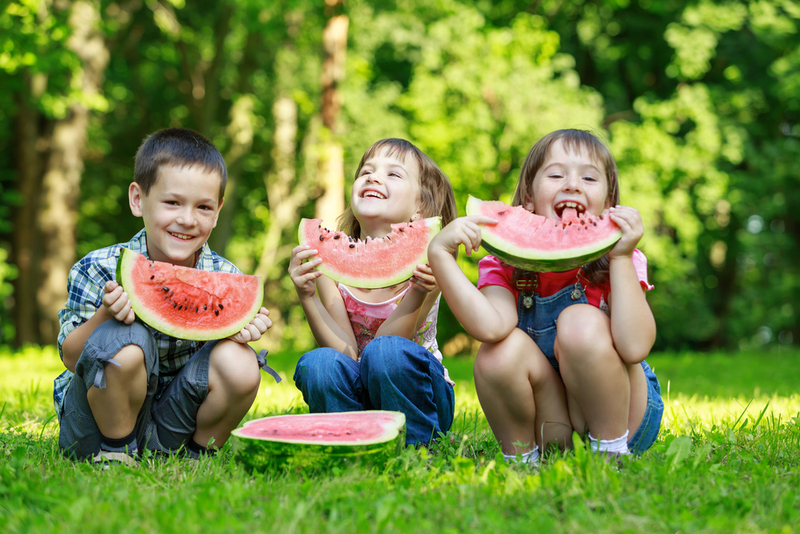 Getting the family ready to visit their Grandfather on Father’s Day, attending a Little League cookout, visiting friends for a pool party, even attending a friend’s wedding are some of the activities we might be doing this summer. If we’re the host of these events, we will plan the food and drinks, the activities we need to provide to entertain everyone, what we will wear and all the things to make the day fun and enjoyable. We want everyone to take away good memories. After being indoors most of the winter, we often don’t think about what happens as the weather moves from early spring to summer. How often have you hosted an outdoor event only to forget about mosquitoes? We often don’t remember how quickly a tiny insect became the most important memory we took away from an outdoor event we attended. Planning how you will prevent mosquitoes from ruining your event is just one more thing to include on your event To-Do List. It will be as if all of our hard work meant nothing if you allow mosquitoes to invade your festivities. Let’s imagine a bride’s wedding day. Everything has been planned for months. The cake has arrived on time. Guests have traveled from far and wide to attend this special event. Photos have been taken on the beautiful white bridge with lush green trees in the background to show off the bride’s amazing gown. The bride and groom can think of nothing other than their future together and the new chapter beginning in their lives. Watch this short movie, and see how their special day unfolds. After looking at this brief movie, you probably have a better feeling of how biting mosquitoes can turn a planned celebration into a survival event. 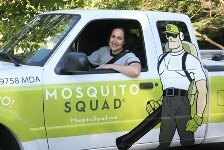 Mosquito Squad of West Montgomery MD wants you to know it doesn’t have to be that way. We offer a one-time event barrier spray to eliminate mosquitoes at any of your special gatherings. Weddings, Anniversaries, Family Reunions, Birthday Parties, Cookouts, any event you are planning outdoors. Enjoy the outdoor living season mosquito and worry free! How many times have you failed to think of bug spray, anti-itch cream, etc. while getting dressed for any of these events? Most of us don’t think of them often and neither will your guests. Last week, while attending a Boy Scout cookout with my sons, one of them began itching and scratching from mosquito bites. We had to leave to get anti-itch spray. By the time we returned, we missed half the banquet. Even someone working in the mosquito business can forget about mosquitoes when focused on children and the celebration they are attending. It’s easy for any of us to forget how bad mosquitoes can be, especially around lakes and areas with a lot of shade and cover. 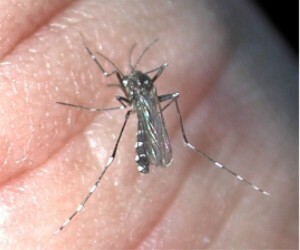 The bloodthirsty asian tiger mosquito is just one of over 59 species of mosquito here in MD. A mosquito barrier spray will make sure that whether your guests remember sprays or creams, they will enjoy their time at your special event. Our mosquito barrier sprays are so effective many of our one-time event customers later become regular customers. 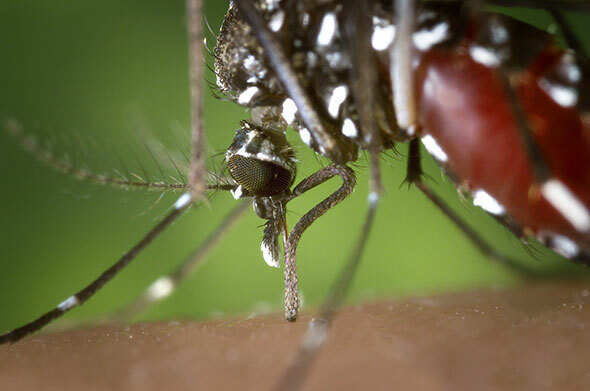 The effectiveness of our mosquito treatments are our best advertisement and a great way to be introduced to them. Once applied, no one will know the spray was used. What guests may eventually notice is that there are no mosquitoes bothering them. From the time your guests leave their car until they return, our mosquito barrier spray can be protecting them. Our technicians call before arriving at the event location and will spray a day or two before your event to begin eliminating mosquitoes in advance of your festivities. Whether you are using your backyard, or a space you’ve rented, we can make sure the only memories your guests take home are the ones you want them to have. In fact, many of your friends and guests may tell you after your event that they were surprised they didn’t see any mosquitoes. Of course, if you want them to think you picked a bug-free location for their enjoyment, we won’t tell. It’s up to you. Now is the time to sign up for our season-long protection. We offer both organic and traditional programs. If you prefer, sign up for a one-time spraying for your special event. The benefits of our mosquito treatment will have you coming back for more because you will enjoy up to 3 weeks extended protection every week. You continue to invite family and friends over for cookouts and parties in your yard all summer long!